spot as he seemed to be lost in Egypt. Life is awesome…i had a great night! 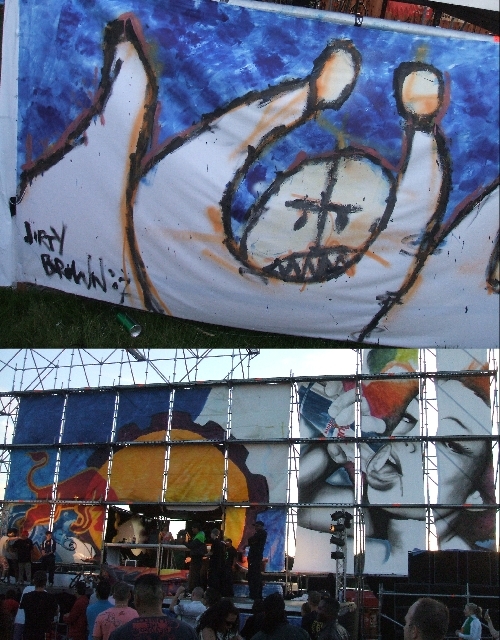 I was asked to design and execute the painting for the redbull stage at the 2007 edition of DanceValley (the legendary outdoor electronic music event). For this job i invited staygoldroy, matthijs de valk and senser, together we executed this 10 meter high painting live and on the spot within 10 hours. 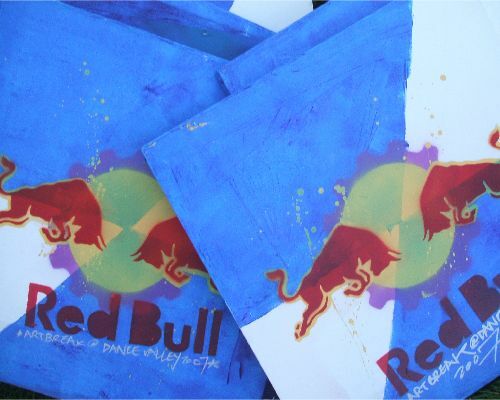 For RedBull i made these nice 50×50cm canvasses partially at home and partially on the spot at the 2007 edition of DanceValley festival. 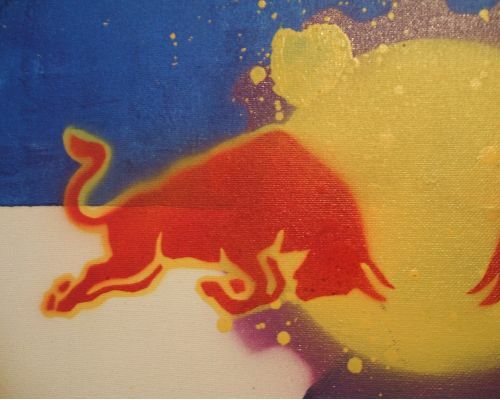 The canvasses were largely made using stencils in an edition of 50 and were given to people through the RedBull website later on.